Some thirty years ago, when Elaine Walsh worked as a nurse in inpatient psychiatry, one of her very ill patients haunted her. She’d awaken at night startled and troubled. Even today, she still wonders what exactly was going on with this very complex patient. At the time, there wasn’t anywhere at work for her to turn to for support. It never even crossed her mind that a formalized support system could help her process the situation, contribute to her own well-being, and improve her ability to care for other patients. Today, Walsh works half-time at Seattle Children’s Hospital as a nurse scientist in resiliency. A University of Washington School of Nursing associate professor in Psychosocial and Community Health, she’s beginning her third year of a five-year program studying how best to support the mental and physical health of nurses as they face their daily on-the-job stresses. 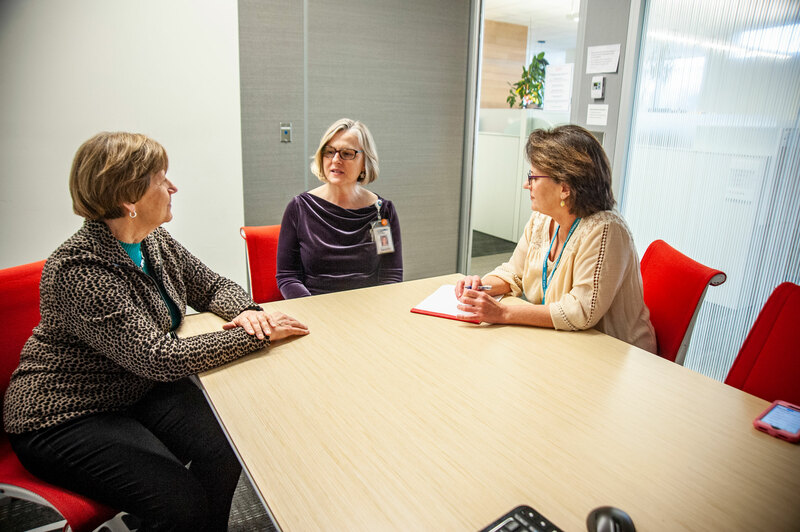 During the first two years, Walsh focused on exploratory and descriptive studies to learn what is currently happening among nurses and managers and what kinds of baselines and supports exist related to resilience. Later on, she’ll detail specific interventions to be implemented and evaluated. “Nationally, this is recognized as a big issue. 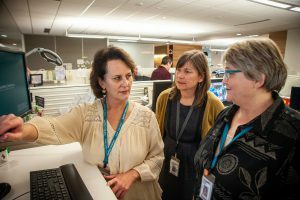 We were ahead of the game in investing in this a couple of years ago,” said Debra Ridling, Ph.D., R.N., M.S., NEA-BC, associate chief nurse and director of Seattle Children’s Center for Pediatric Nursing Research. The project started when Seattle Children’s Chief Nursing Officer Susan Heath retired after 35 years of service. The hospital leadership team asked her what she wanted to leave as a legacy. During her tenure, at the bedside, Heath would ask nurses, “What matters to you?” She asked the question to find out what a nurse wanted to accomplish on a particular day and what kind of support they needed to succeed. The answers were both simple and complex, like wanting to hold a baby in pain whose family was far away. Or needing the team to be present. Or Learning more about a child’s needs. Heath believed that if nurses were intentional about what they wanted to accomplish and had the resources to get there, that they would succeed and in that way be more resilient. Still, it was a tall order and to address that gap, at retirement, she asked for a fellowship focused on nurse resiliency. 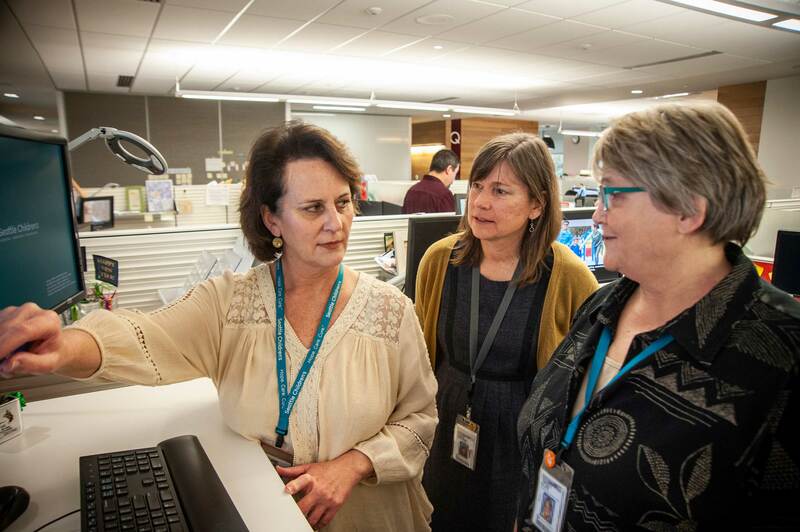 In the meantime, Debra Ridling had been setting up the Center for Pediatric Nursing Research with the Seattle Children’s Research Institute, a nursing scientist, on-staff statistician, nurses from across the organization, as well as academic partners. As a graduate of UW School of Nursing, Ridling had collaborative, research-based ties with the university and a mutually beneficial partnership made perfect sense. She hired UW Endowed Professor of Nursing Karen Thomas as a nursing scientist. The center focused on improving care in the pediatric setting where there is limited evidence to support aspects of nursing care. Nurses cared about evidence-based nursing care, and when nurses had a question, Ridling wanted them to search the literature for answers and when none surfaced, to have the tools to gather evidence through research and generate new knowledge that would impact practice at Seattle Children’s and the field at large. It wasn’t the only research project focused on nurse resiliency, but most of the existing literature looked at an entire hospital across a number of disciplines versus nurses in a pediatric setting. Also, a collaboration of this nature, between a university and hospital with long-term funding for positions offered an innovative model. That’s important because the people who work at Seattle Children’s need a process they can trust as they deliver on a promise to take care of the whole community. As a regional center, Seattle Children’s treats everyone, including the sickest of sick individuals and those with the rarest of rare conditions, and that complexity includes supporting families of every background from across the world or just down the street. What does this look like in practice? Walsh works with a variety of teams and committees. Bioethics plays a role for complex cases where there are no right answers and teams need to work out how to move forward. For example, parents may have one perspective and care teams another and both want what’s best for the patient. Nursing Bioethics leads moral distress forums that offer a supportive place to unpack complicated, confrontational or controversial care situations and emotions. There is no question that this work matters. “It’s very clear from the literature that people who are burned out, people who are struggling with their own stress levels, do not deliver optimum care. They make more mistakes and are not as present for patients as they want to be,” said Walsh. As this work continues to progress, Walsh hopes to partner with Seattle Children’s nurses, nurse leaders and other hospital leaders to publish the results of the study. In the same way that other inquiries at the Center for Pediatric Nursing Research help the larger field, such as a study about improving operative care for children with autism, this nurse resilience work empowers nurses to bring more knowledge to a broader audience and help the overall nursing profession.